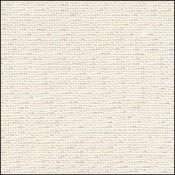 Opalescent/White Edinburgh Linen  - $81.90 : Yarn Tree, Your wholesale source for cross stitch supplies. Item 2117. Opalescent/white (1111) Zweigart Edinburgh or Edinborough Linen. 100% linen, 55” wide, 36 count. (Zweigart 3217). 1yd cut. Please order by Yarn Tree’s item number. Add a little shimmer to your needlework! (The white is more antique white in appearance). Please order by Yarn Tree’s item number. All the products sold by Yarn Tree are available wholesale to needlework stores. Standard wholesale discounts apply off prices shown.